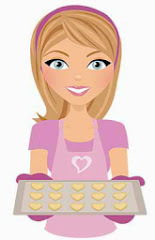 Do you ever watch Sandra Lee on The Food Network? 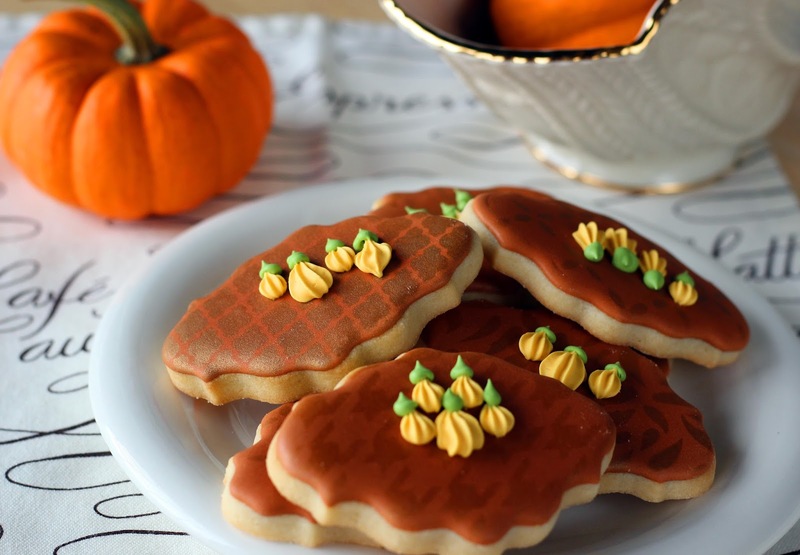 Besides making savory and sweet dishes, she creates amazing tablescapes. The theme and color scheme is interwoven into the plates, napkins, tablecloth, place cards and decorative detail. Sandra definitely has a knack for setting beautiful tables. 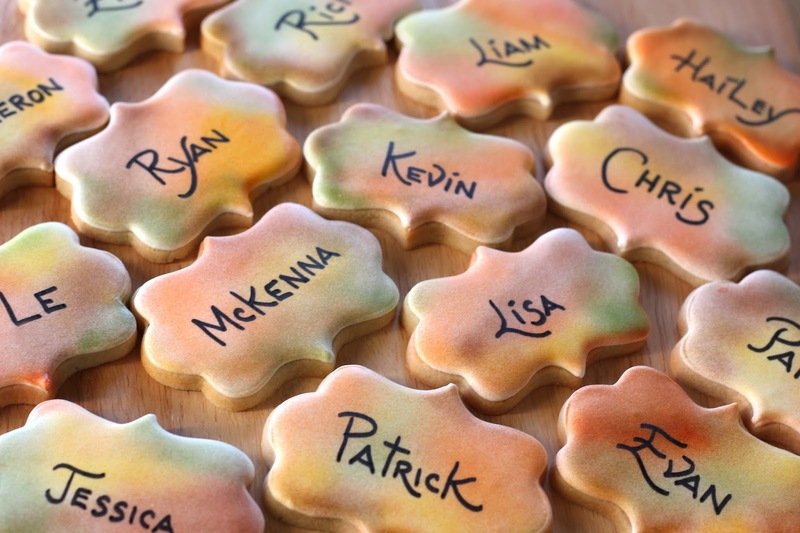 For something extra special for your holiday table, why not make place cards out of cookies! They can even double as take-home favors. 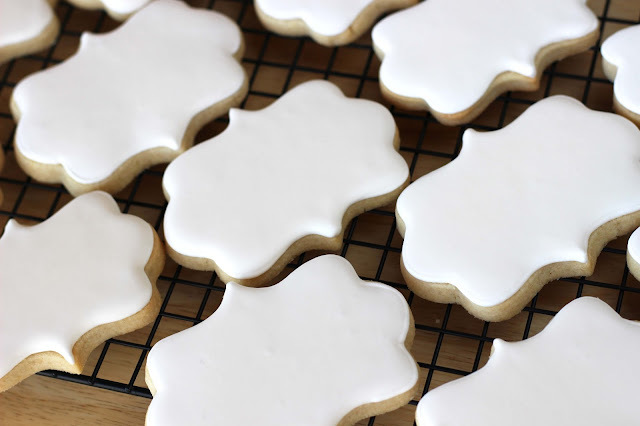 Simply ice the cookies with white icing and let them dry overnight. 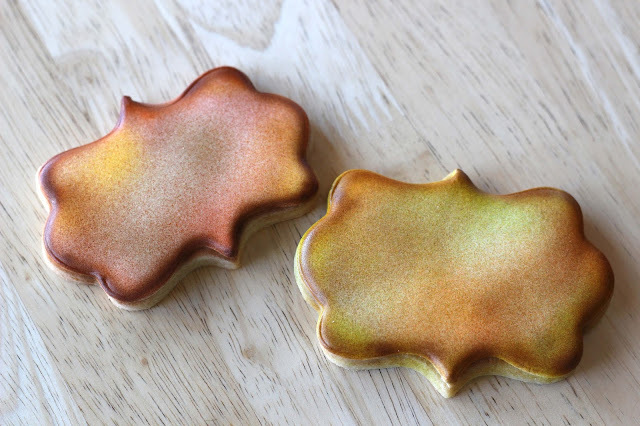 Use the airbrush method to avoid time to mix colors. 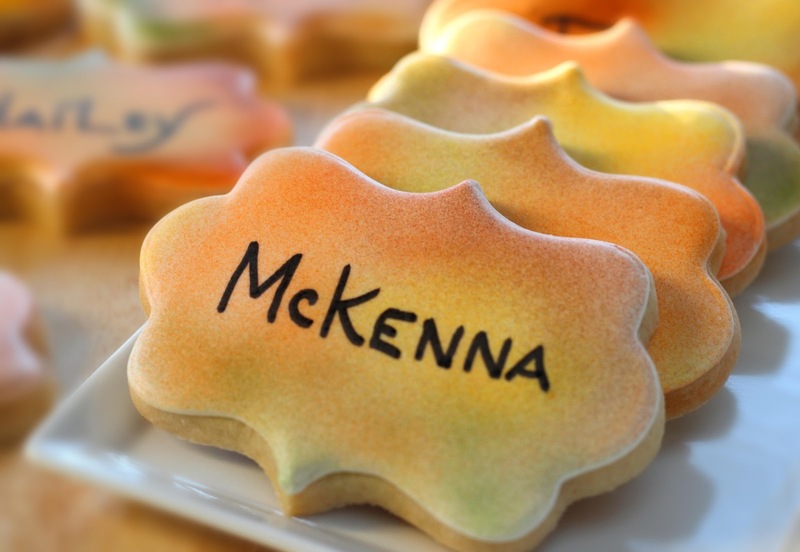 Write the names of guests with a food marker …easy! 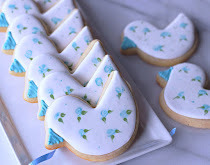 If inclined, pipe the letters in royal icing and add a fancy border. 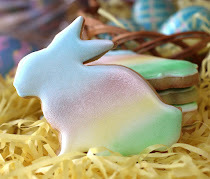 The cookies can be wrapped or unwrapped. 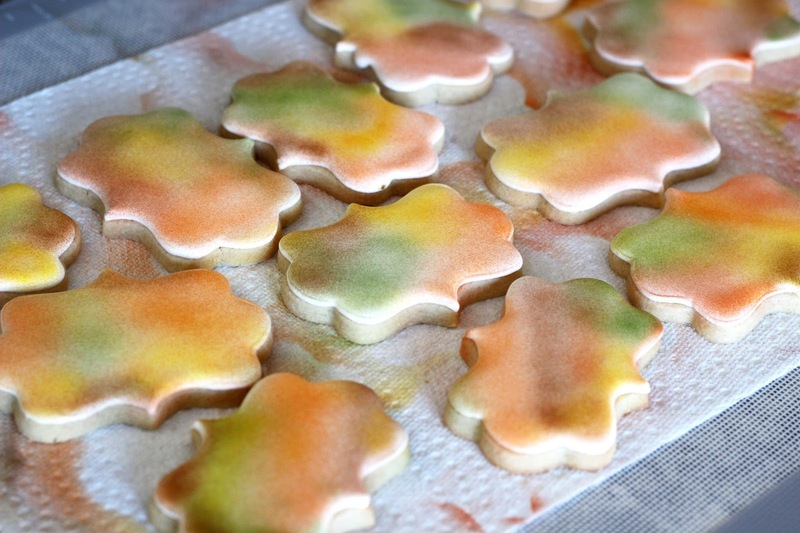 I whipped up a batch of sample Thanksgiving cookies. Sandra may even approve! 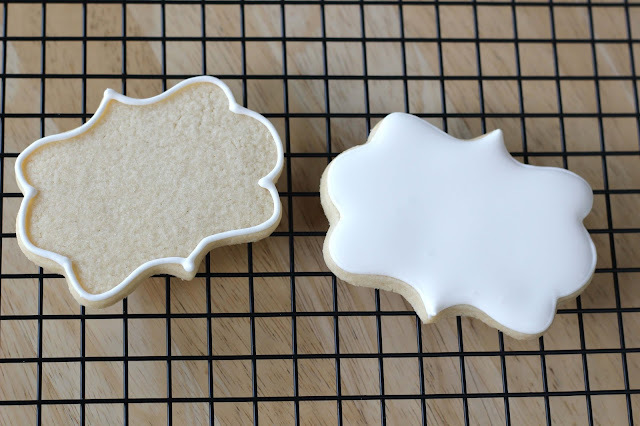 Outline cookie with #2 tip in cream icing. 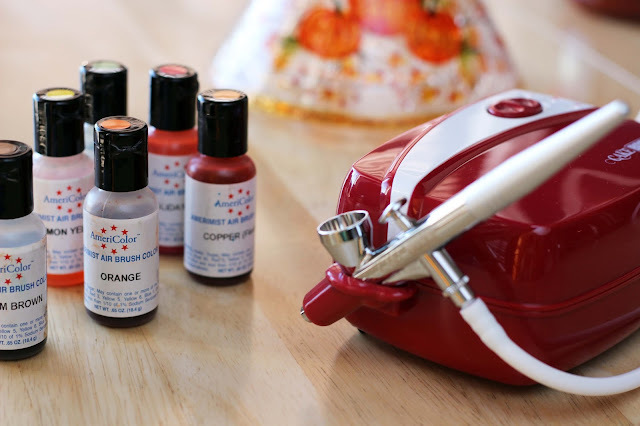 Spray airbrush colors to create fall palette. 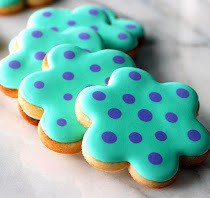 Overlap some colors to create a natural look. 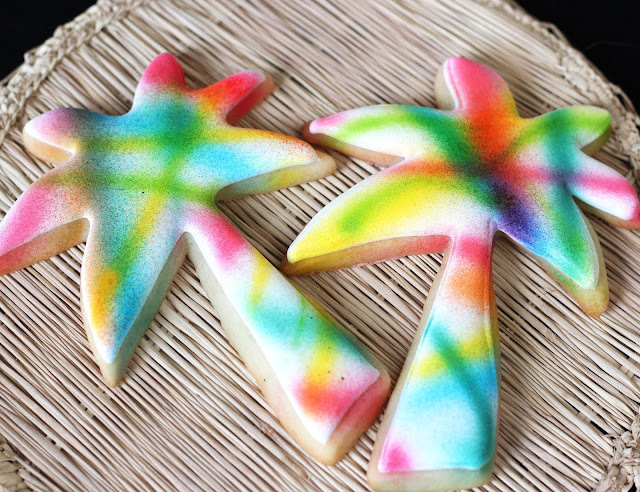 Some cookies were airbrushed on the edges. 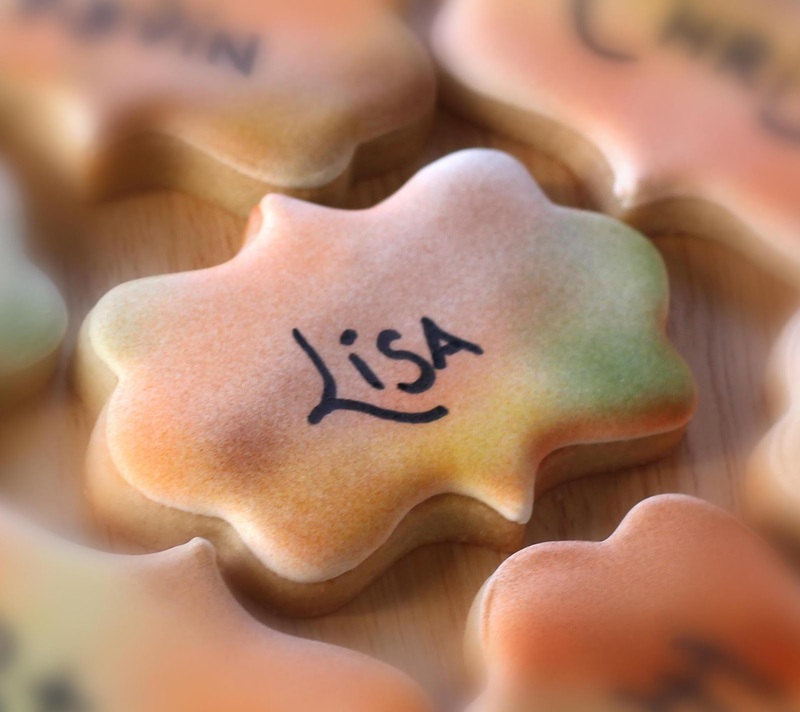 Print names onto cookies with black food pen. Let dry 20 minutes. I do love this idea so much! Such a neat way to dress up a table and make it so personalized and pretty! 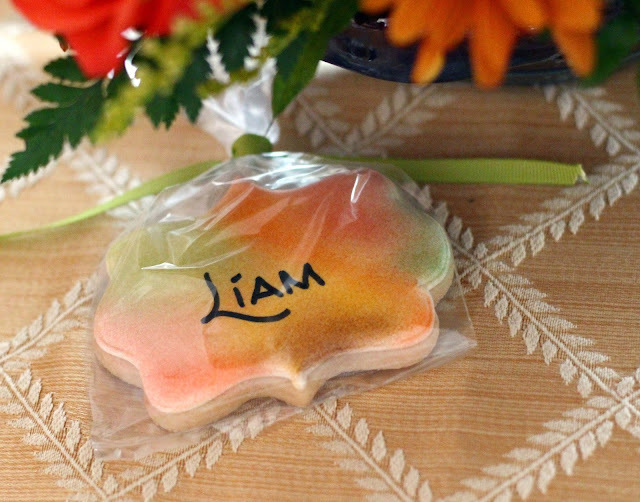 Jemma, These place card cookies would go nicely with your autumn centerpieces. Thanks for stopping by and have a wonderful Thanksgiving. 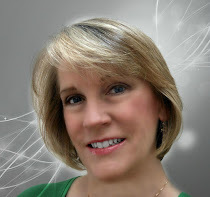 Sue, Thank you. 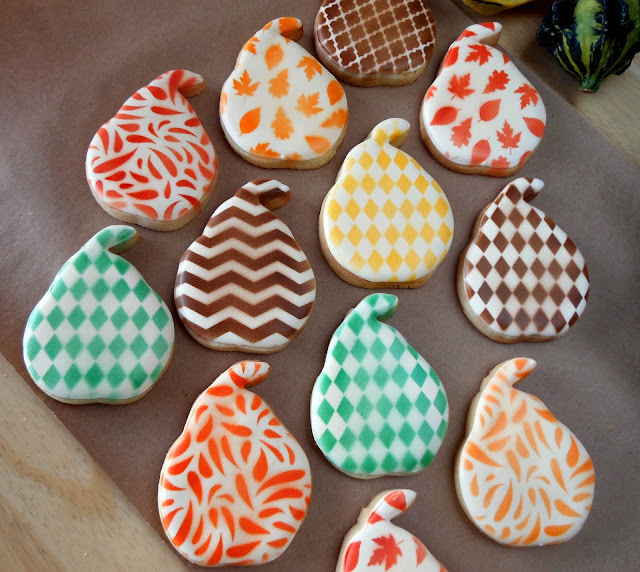 I think I prefer the cookies without the airbrushed edges as they keep with the traditional colors of the Fall. 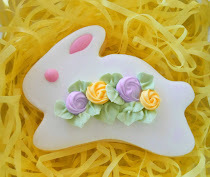 Have a nice holiday! 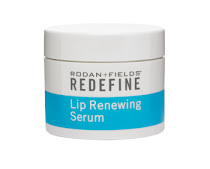 You make such beautiful designs,so inspiring! Thanks for sharing your techniques, I never would know how to do such work without you! 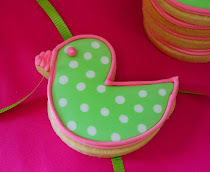 What a great way to decorate the table along with helping with seating (so important)...I am going to do this for sure! Thank you and I'm glad you find the tutorials helpful. 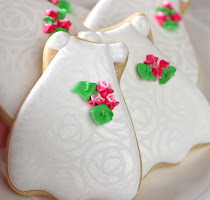 What I love about the place card cookies is they can be for any dinner party, not just the holidays. Wishing you a Happy Thanksgiving! Suzy, These are very easy to make for the holidays. 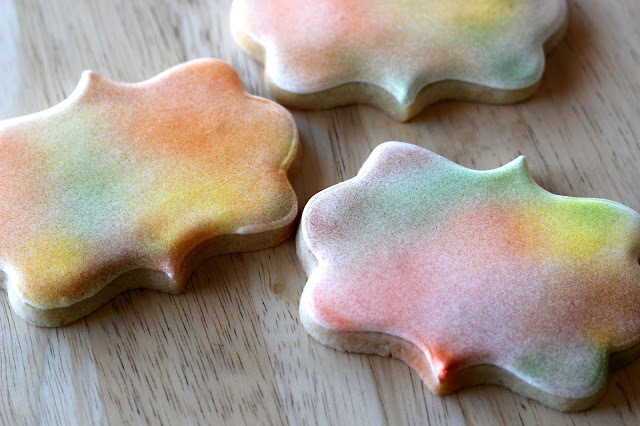 These cookies can be decorated without airbrushing by just using an autumn color. 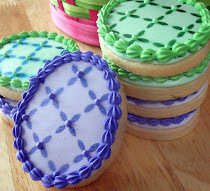 The food coloring pens are similar to a felt pen and very easy to use; just be sure to let the cookies dry overnight.